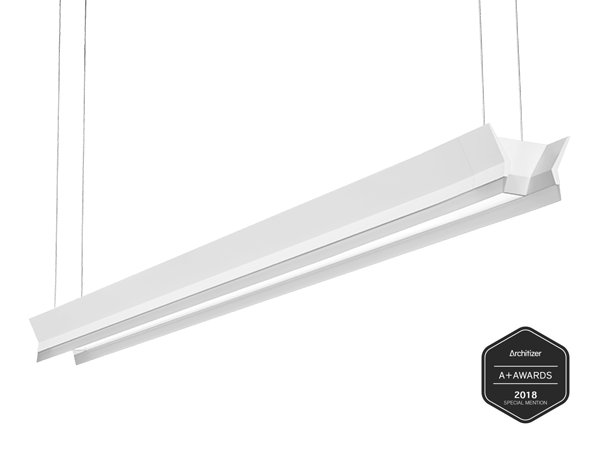 A distinctive minimalistic suspended luminaire with an air of mystery. It glows from a seemingly invisible light source creating a functional and distinctive statement piece. Luminaire lengths available in 4' to 12' in 1' increments. Frosted acrylic diffuser produces 80/20 light distribution. Features Power Up™ suspension system which delivers power through the suspension cables and eliminates visual clutter of separate power cords. Right Light™ output levels 500 – 1000 lumens per foot.